Thank you for allowing me the opportunity to answer these questions. I feel like there is so much that we all struggle with as moms/career moms. It is really sweet to see how God uses each of our lives. And being able to learn from one another is so helpful. How do you get dinner on the table? I am not a cook and this was definitely a struggle for me. Between picky kids, not having a natural bent toward cooking and a traveling husband I realized I needed help. Plus the fact that even getting to a grocery store was difficult. I heard about grocery delivery service and voila I was sold. At least there would be fresh fruit, milk, meats and veggies in my fridge even if I did not know what to do with them. About a year ago, Mac and I decided to try a meal delivery service (3 meals a week delivered to our home in box with full instructions on how to prepare and all ingredients that I would need). Now I can pull a menu from the selection, follow the directions and end up with a tasty meal. I also love breakfast for dinner and have tons of friends who pre-prep the majority of the meals over the weekend so all they are doing is reheating/tweaking things throughout the week. How do you complete homework assignments/projects each day? We do a lot of homework over the weekend and then each night finish anything that is due the next day. When my oldest was in the after-school program they would do homework there, so that also helped to ease the load. How do you balance sports/extra-curricular activities? For this season in life we found our family works best with one sport at a time. Ultimately this means each child has a practice during the week and then a game on the weekends. Anything that we can do at school/after-school programs are always great as it helps to simplify. This is one of those areas where I wish there was a magic button as sometimes I feel like the boys are missing out on great experiences, may fall behind their friends, or not be as advanced. It can be difficult to remember that this is right for our family and it is okay for them and us to do one thing so we can all have balance and time together. I know things will change over time and we will need to keep re-evaluating each season of what is right for us. What does your morning/evening routine look like? Imagine getting ready for church every morning. Everyone is up, needs to be dressed, fed and prepped with back-packs, homework, lunches, and computers (adults) but in this case no one is supposed to be late (your boss does not give you an extra 4 songs to get settled in). For us, we have everything ready ahead of time and, yes, that means more prep-work. I make all lunches and iron out clothes ahead of time. Then every night before bed we lay out our clothes, lunches and bags are packed, and anything we need to take with us is by the front door. I have switched positions where I can work remote more and this has allowed me to at least not get “work dressed” but getting out the door will always be a process. What hacks/balancing acts do you do weekly to streamline life? Prepare for the week. Think about it. You don’t walk into a business meeting having no clue what you are going to talk about. You have an outline, a power-point, and have done your homework to be ready. This mentality is a part of our home life. Yes, it is tiring. But the chaos that happens without being organized is it is not worth it for us. Oh, and I only wash my hair once a week, maybe, two max. The other days my go-to is dry shampoo. Really, this is one of the biggest time savers for me for getting ready and my hair holds curls better. What do you and your spouse do to balance the week/month? We cross-reference our calendars, send each other calendar appointments and have a family calendar in our home to visually see what is coming up. We talk a ton and ask each other if X date works with what the other has going on. If it doesn’t work then we work together to figure out a plan of who can either skip that meeting/trip or do we need to get additional help. Self-care- what are you doing for yourself? I enjoy working out, for me it is a huge stress relief. Time is limited. I have walked the stairs in my workplace on a 5-10 minute break, created a standing desk area, utilized a lunch break to do a quick workout, gotten up at 5AM, and done evening classes. On days where life allows a 20 minute window, I’ve used the time between drop-off and work to workout (this is where washing my hair only 1-2 times a week comes in handy as getting dressed for work is much quicker). My point is to use whatever time you have to do something you love for yourself. How do you intentionally spend time with your kids? Dedicated time on the weekends are huge for us. We typically have movie/pizza night every Friday. It has become our tradition and then we try to plan one other event (outside of sports) on Saturday or Sunday. Sometime it consists of running errands with a fun lunch, an outing, or double movie weekend at home. During the week, we try to put our phones away during evening hours (if we have to answer an email or look something up we share with the boys what we are doing so they know we are not ignoring them). If time allows we will play outside (nature walk in the neighborhood or sports), race cars in the house, play board games, grab a deck of playing cards, read together, anything to be together (even if it is only for 5-10 minutes it counts). Our other consistent part of the day/bed time routine is we read the Bible together and pray. How do you intentionally spend time with your mate? Mac and I are big on communication. Our tendency is to over-communicate as it helps us both know where the other one stands on things. Each month/week we sit down with our calendars and match what is going on with work, kid activities and life events. This helps us to plan the day to day, is he traveling, do I have meetings where we need to call for help to fill in the gaps of school and day-care pick-up, etc.. This also allows us to better understand our evenings and weekends. If he is traveling a lot one week we try to balance the next week where he is home so not only are we together as a family but after the kids go to bed we have time as a couple (it maybe cleaning dishes or working but we are doing it together). We try to be considerate of each other’s work and discuss if we need to work during evening hours after the kids are down or if we need a night of being together watching Survivor. We also try to set a date night each month. It is consistent work, but absolutely worth it. 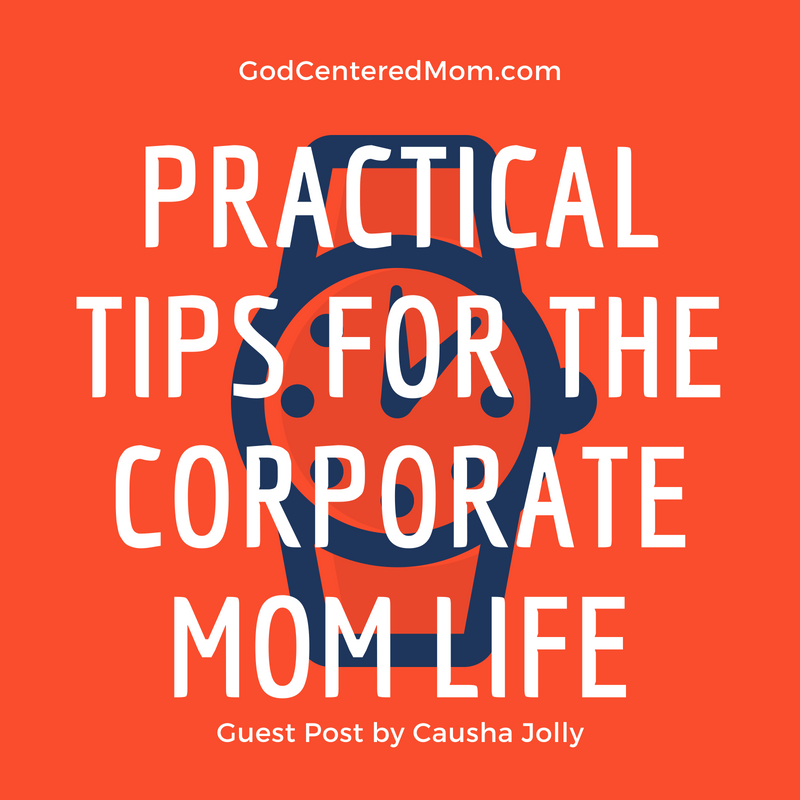 Where/how do you connect with other moms? 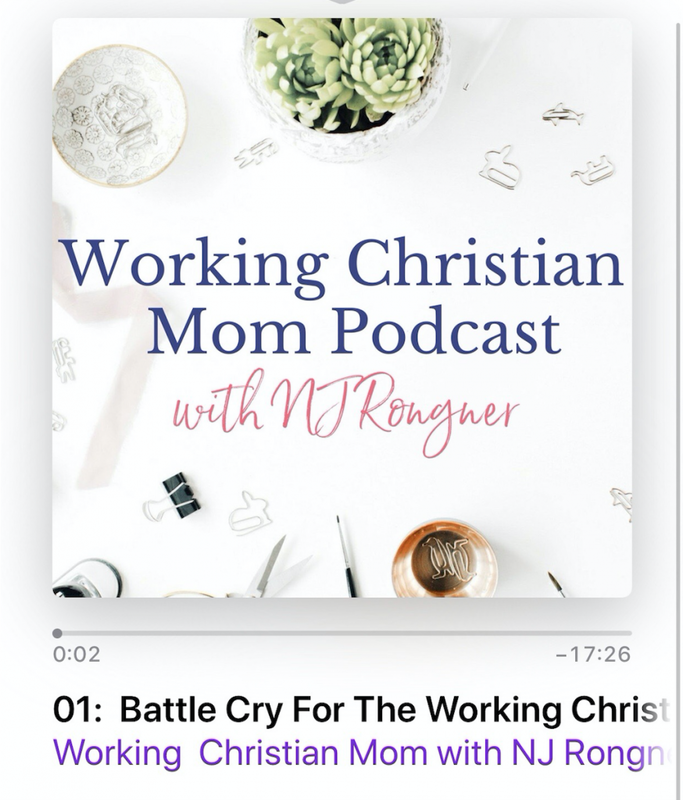 I touched on this a bit on the podcast, but for me it was stepping out in faith and inviting other moms into things that I was already doing. For me it was starting a Bible study in our home. I learned pretty quick that we needed a space where we did not have to apologize if our lesson was not done, it must be after kids are in bed and a safe place to just be us. One of the biggest things that has made it successful is being flexible. Majority of the time we gather at the house but have also utilized FaceTime and google hangout when people can’t make it, reschedule and rescheduled again when everyone is tired, sick, working/unable to make it. Putting yourself out there is always a bit scary but someone else is craving fellowship just like you. Be bold my friends and as my dear friend Heather would say “Don’t mom alone”. Thanks Causha for sharing with us! What tips would you add? Share in the comments below!